Vitamins are substances that the body needs in small quantities so that specialized proteins, known as enzymes, can work properly. Enzymes speed up the chemical reactions needed for the body to work properly. 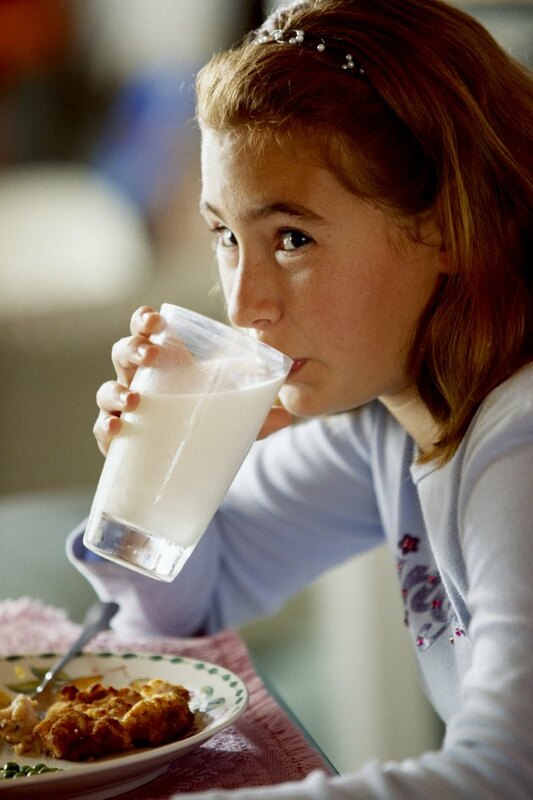 Taking vitamin supplements can help you avoid vitamin deficiencies and can be taken with milk. On the other hand, you must make sure that you do not consume too many of certain vitamins and minerals. In addition, the calcium found in milk can make iron supplements less effective. Take a multivitamin with milk to make it easier to swallow. In general, vitamin supplements should be swallowed whole, and taking them with milk will facilitate this process. Adjust your vitamin intake to prevent a vitamin overdose. If you take too much of some vitamins and minerals, such as vitamins A and D or calcium, you can develop symptoms of a vitamin overdose. According to the Merck Manual, the maximum recommended daily consumption of vitamin A is 3,000 mcg, and the maximum recommended vitamin D intake is 2,000 international units. Milk is often fortified with vitamins A and D, and a cup of fortified milk contains 157 mcg of vitamin A and 120 international units of vitamin D, the United States Department of Agriculture says. Take iron supplements separately from milk. Milk does not interfere with the absorption of any vitamins or minerals except iron, since the calcium can make it hard for the intestines to absorb iron, the New York State Department of Health says. Take iron supplements at least one hour before or two hours after drinking milk.